Do You Have Unexpected Anxiety Attacks? I was in the dentist office watching my daughter have some work done on her teeth when my heart began pounding and racing. My daughter was fine. She was not in any pain as the dentist and assistant were very polite and the environment was extremely friendly. But I felt like I was losing it. Shortly afterwards my stomach took it’s turn. It felt like it was in my throat, my palms became sweaty, I felt light-headed, my breath became shallow and my thoughts began to race. I am physically healthy with very low blood pressure and normal cholesterol levels so this was clearly not a heart attack. Rather, it was an anxiety attack. Perhaps this has happened to you recently. You run into someone unexpectedly, walk into a hospital room, watch something on TV, or eating dinner out and all of a sudden, for no particular reason, you have an anxiety attack. At the moment, it seems as if the attack comes out of nowhere. You realize that analyzing the problem in the moment is futile. So instead, you need a quick solution to settle down immediately and then later evaluate the potential cause. Mental Solution. During my anxiety attack, I looked for a distraction in the room to minimize the intensity. Sometimes, just focusing your thoughts on something else other than how you feel can be helpful. There was a picture hanging on the wall that caught my attention. It seemed a bit out-of-place and overly simplistic yet the image of the fish was very colorful and the fish seemed to be smiling. This odd distraction reduced the intensity but it was not enough to remove all of the anxiety. Physical Solution. Next, I focused on my breathing taking not so obvious deep breaths. There was no need to alarm the dentist or my daughter about my anxiety. I breathed in for a count of four, held it for another count of four and breathed out for a count of four. Repeating this four times while simultaneously becoming aware of the tension in my face, shoulders, hands and even toes. These breaths brought relaxation to tense areas, reducing the anxiety even more. Needing more help, I remembered my “happy place” on the beach, a place of serenity and calm. Despite the drilling sound, I imagined the crashing of the waves, the birds singing in the air, the smell of the sea, the soft cold sand in between my toes and the warmth of the sun. A feeling of peace began to peek through the anxiety but the drilling sound was far too distracting. So I moved onto the next solution. Spiritual Solution. Finally I recalled a passage in Scripture that reminds us to have no anxiety but instead with thanksgiving make your request known to God (Phil. 4:4-6). So I prayed. Thought about all the things I had to be thankful for and the many blessings in my life. That worked, the anxiety disappeared. The rest of the visit was spent focusing on my daughter’s needs instead of fearing that I would pass out. Several hours later, I reflected on the real cause behind the anxiety attack. My fear was really about not having any control over the potential pain my daughter maybe in during the visit. Although she reported no pain, as a mother I was still concerned for her and wanted the visit to go well. The next time you have an anxiety attack, try some of the solutions above including spending time later to discover the real cause behind the attack. Knowing your real cause and addressing it quickly can keep the attacks to a minimum and help you to focus on what really matters. “I’m dreaming of a white Christmas just like the ones I used to know. Where the treetops glisten and children listen to hear sleigh bells in the snow.” Perhaps your Christmas memories are different but I have yet to experience a Christmas when any “children listen” to bells or even adults for that matter. Having an expectation that a child will be patiently listening for a bell in the snow is frankly silly and unrealistic. “Deck the halls with bounds of holly…tis the season to be jolly…strike the harp and join the chorus…follow me in merry measure.” The demand of a decorated house, being happy all the time, playing cheerful music, singing, and dancing is a lot to accomplish when life usually hands the toughest of blows this time of year. Statistically, this is the most depressed and lonely time of the year as many families are experiencing their first Christmas without a loved one, without a job or in worse financial condition than ever. “On the first day of Christmas my true love sent to me…on the twelfth day of Christmas my true love sent to me.” This song portrays 78 gifts that a “true love” gives to another which is an unusual amount of gift giving and excessive by most standards. It sounds more like the “true love” is trying to buy love instead of showing love. “Chestnuts roasting on an open fire.” Have you ever tried to roast chestnuts in your oven? If you don’t score them precisely, they will explode in such a mess that it will take weeks just to get all of the gummy like nut off the sides of your walls. Forget about an open fire, where a chestnut exploding can knock an eye out! That shiner will definitely be a Christmas to remember. “Oh the weather outside is frightful, but the fire is so delightful, and since we’ve no place to go, Let It Snow!” Just one look at your calendar will probably reveal that you already don’t have a free weekend and most of the weekdays are quickly filling up as well. “No place to go”? You must be kidding this season is packed with too many places to go and too many decisions to make resulting in too many people to disappoint. “Jingle bells, jingle bells, jingle all the way. Oh, what fun it is to ride in a one horse open sleigh.” Any repetitive noise such as a bell for long periods of time is not likely to cause fun but rather a piercing migraine. Add to that an open sleigh which is cold and horses that poop along the way which is smelly and there is definitely no fun to be had. Just because one person believes an activity to be fun does not mean that another person is going to agree. “Should auld acquaintance be forgot, and never brought to mind?” What is this song saying, that we should forget our acquaintances and not bring them up any more? Granted there are usually some acquaintances that you want to forget and never bring up anymore but unfortunately these are usually the ones that seem to hang around into the New Year. 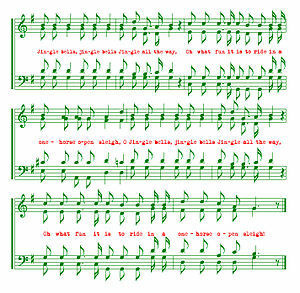 Sometimes reducing our stress during Christmas is more about thinking through the programmed songs that are sung and resetting your expectations to more realistic levels. It might not be the “most wonderful time of year” for you but that is ok; it does not have to be. You can however make it more wonderful by not expecting children to be patiently listening, decorating every inch of the house, insisting that others have fun your way or getting frustrated that you can’t forget something that you would rather not remember. If you have ever wondered whether or not you have had a panic attack, here is a good article explaining one. For more information on how to handle a panic attack, see the post titled “Unexpected anxiety attacks”.